(Gold-plated Spade or Banana) 20 cm. 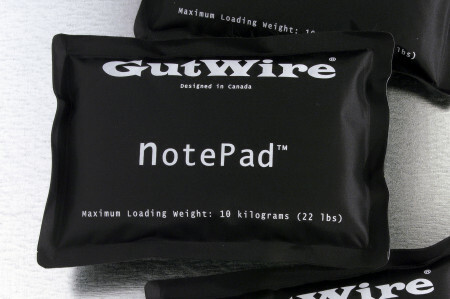 Each NOTEPAD will support 10kg (22 pounds). Use 3 NOTEPADs to support a 66 pounds of equipment. An 80 pounds amplifier needs 4 NOTEPADs. For proper performance, NOTEPADs should be placed under the sources of vibration evenly or directly on top of the vibration. 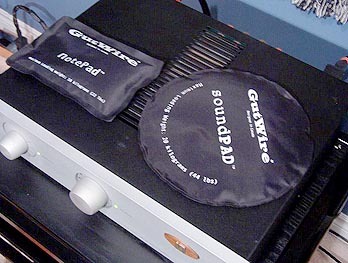 For placement on top of the CD/DVD/SACD player or transport, a single NOTE PAD should be placed directly over the drive mechanism. Player or transport with top loading mechanism should place NOTEPAD behind or next to it. For amplifiers, a single NOTEPAD will work best if it placed on top of the transformer or 3 NOTEPADs underneath the amplifier. 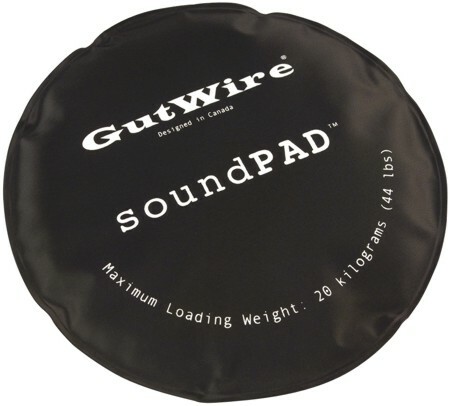 Special formulated cellulose high molecular polymer gel is filled inside the NOTEPAD to absorb vibration, unwanted resonance, EMI and RFI. Avoid direct exposure to UV light.Prolong exposure will shorter the life span of the NOTEPAD.